PUMA CATch up>>BUSINESS>>What do you do with used polybags? How would you like the idea if used polybags did not end up on landfills, but were turned into something useful? Such as… a bench. At the 2013 America’s Cup, we did exactly that. 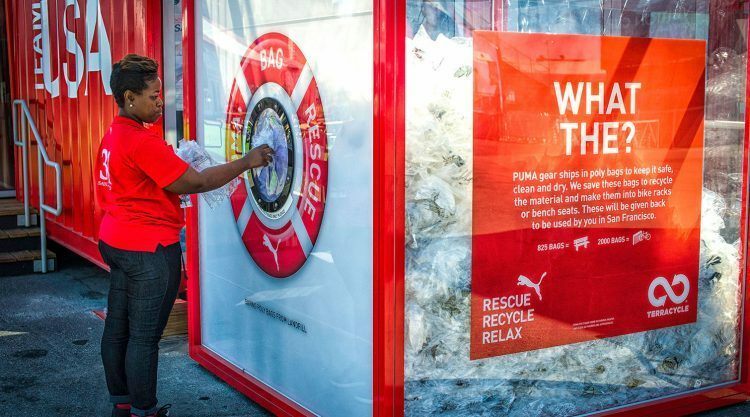 We constructed two huge collection boxes from plexiglass to collect used polybags outside our PUMA stores at the sailing event in San Francisco. These collection containers were not only utilised by our store employees, but also our customers since they often prefer to purchase goods with polybags intact, then remove the wrapping after the purchase. People were stunned by the amount of bags collected. 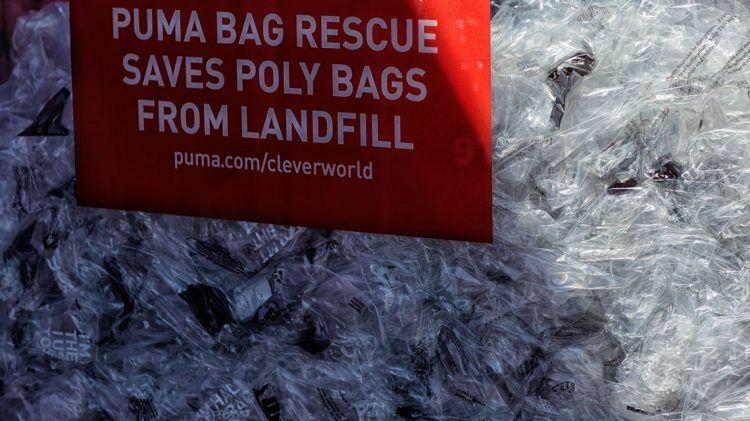 Throughout the summer, PUMA staff and customers added to the bins with polybags from purchased products. Three months later, we had rerouted an impressive amount of plastic from landfill: Nearly 1,000 pounds (454 kilograms) – or in other words 50,000 polybags. We then shipped the used bags from San Francisco to TerraCycle in Florida, a company that specialises in the recycling of everyday items into useable goods. Instead of sending these polybags to the landfill, we recycled them into five park benches. 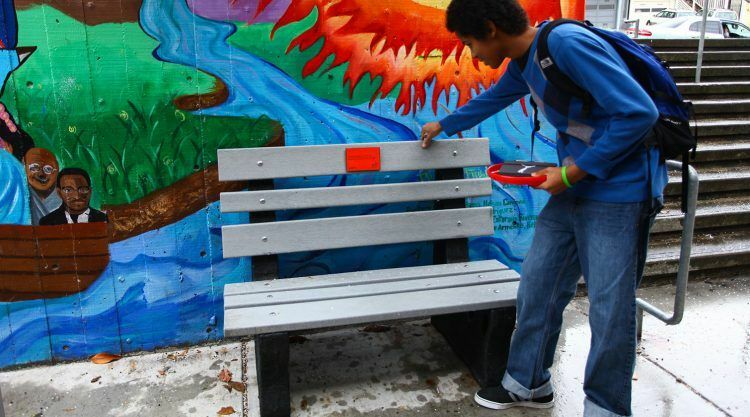 To give this good project an even better ending, we donated four benches to two San Francisco schools, which together enroll 700 students, many of them coming from low-income areas. This initiative could be implemented in our PUMA Stores worldwide and would most likely increase foot traffic and engagement for our customers. On average, its life span is about 25 minutes. Then it ends up on a landfill. This is the fate of numerous polybags. The German environmental NGO Deutsche Umwelthilfe estimates that worldwide one billion polybags are used annually. Only 10% are recycled.